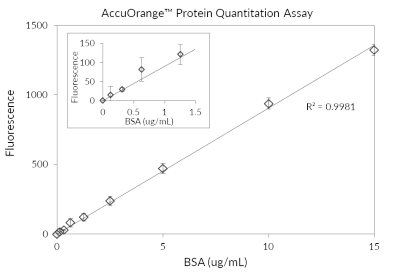 AccuOrange™ Protein Quantitation Kit is a highly sensitive fluorescence-based assay for quantitating purified protein samples in 96-well format. The detection range of the assay is 0.1-15 ug/mL protein. AccuOrange™ is much more sensitive than traditional protein quantitation assays such as BCA, Bradford and Lowry, and shows superior linearity and reproducibility compared to the NanoOrange® protein quantitation assay. The assay shows minimal variability between different proteins, and has stable fluorescence signal for up to 16 hours. 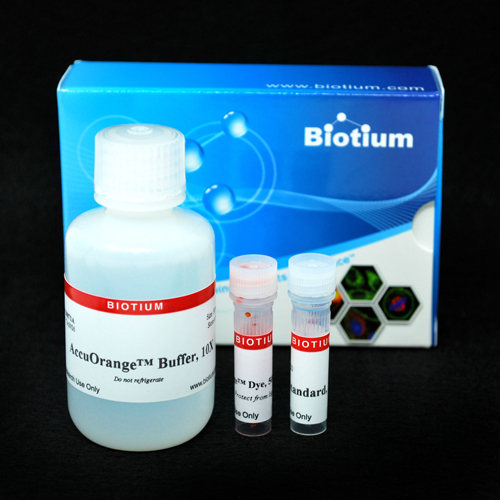 AccuOrange™ is recommended for quantitating purified protein or antibody samples. The tolerance of the AccuOrange™ assay to salts, buffers, detergents, and other chemicals is listed in the product protocol. 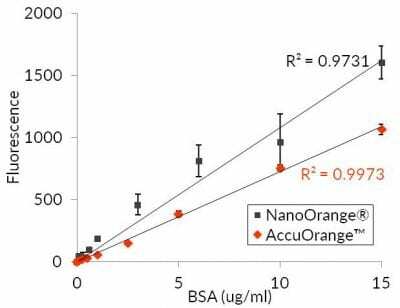 The AccuOrange™ assay has low tolerance for non-ionic detergents, and is not recommended for use with cell lysates containing Triton™ X-100, sodium deoxycholate, CHAPs, or other non-ionic detergents. 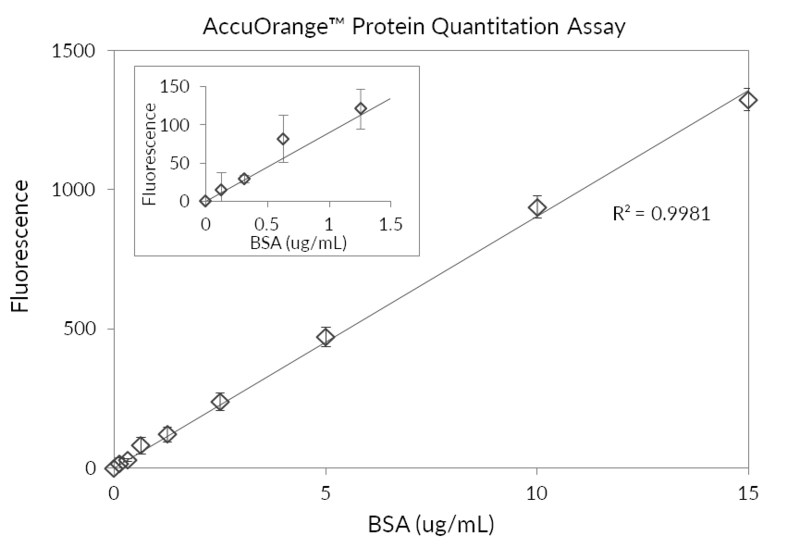 The assay can tolerate up to 0.01% SDS (final concentration in assay). NanoOrange is a registered trademark of Thermo Fisher Scientific. Triton is a trademark of The Dow Chemical Company.